Once more the weather was almost spring like in January. It was pleasant. There was some cold wind but from time to time the sun appeared. Passers-by were not rushing as much and they appeared to enjoy the unusual January weather. A good number of people from St Martin’s HOTS team turned up including some we had not seen for a while. It was a blessing to see you again. A big thank you to you all. Also, thank you for your encouragement when we gathered together to pray before and after the session. Verse 46 ‘Nazareth! Can anything good come from there? Nathaniel asked.’ We too may be tempted to ask this question when we see places where we don’t see much peace, order or goodness. Verse 48 ‘How do you know me? Nathanael asked Jesus.’ Jesus answered: I saw you under the fig tree before Philip called you’. – This assures us that even before we pray for folks Jesus has already seen and knows them. Verse 51 ‘you shall see greater things than that. You shall see heaven open and the angels of God ascending and descending on the Son of God.’ We went out to pray on the street knowing that we were not alone. Angels would be ascending and descending from heaven as God’s work was being done on earth. Here are some stories of God’s work being done on Earth. We prayed for a lady who had been having some pain in her toe. We prayed that the Holy Spirit would wash over her. I think the Holy Spirit did more than ‘washing’. As she sat on the chair we could see great peace and stillness within her. She said she felt refreshed. We hope to hear that the pain in her toe stopped. Watch this space. A young lady with past drug addiction wanted God in her life. The team members prayed for her arms spoke to her about Jesus. He always has open arms to receive those who want to come to him. She was given to leaflet ‘Who is Jesus’. Please, pray for her. A mother came for prayer for her son who has been in prison since he was 14 years old. He is now 18 and is serving a 10 year sentence. Her request was ‘come home soon’. This reminds me of the parable of prodigal son in the Bible. The father was constantly waiting for the son to come home. And one day the son came home. 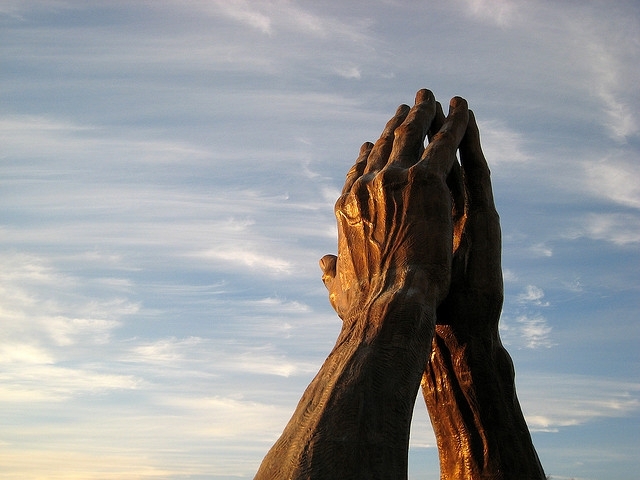 Prayers by proxy for folks in Ukraine continue. Eyes are better and vision has improved for one of them since last time. A man came to the chairs with a prayer request to ‘get right with God’. He drinks and abuses substances at weekends. What a request! I think this one was picked by one of the angels ascending and descending on the son of God. God’s work was indeed done on Edgbaston St by St Martin in the Bull Ring.